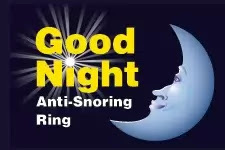 Good Night Anti-Snoring Ring to review. Both me and my husband snore. so we thought we'd give it a try with hubby. but it turns out he sleeps on that hand so he took it off. principles of acupressure to help you to stop snoring. It applies light pressure on not one, but two specific points on your little finger. so you can try it out for yourself with absolutely no risk! non invasive way of to stop/reduce snoring and to get a great nights sleep for you and your partner. It ensues you awake fresh, invigorated and ready to face the challenges of the next day. You can't crumble at a promise like that. purchase one it can take up to 5 nights to work. You put the ring on half an hour before bed. 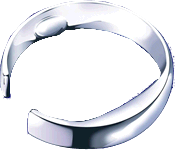 The ring comes in multiple sizes so you can get the best fit for you. I was very skeptical but it worked.